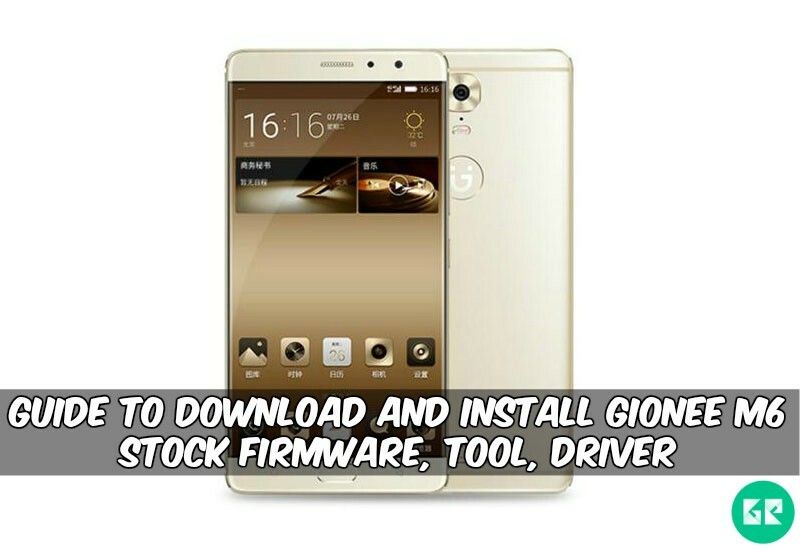 Today share official Gionee M6 Stock Firmware, Tool, Driver. We have new Stock firmware for Gionee M6. Gionee released Gionee M6 smartphone with stable Android OS v6.0 (Marshmallow). This device powered by 1.8GHz octa-core Helio P10 processor and it comes with 4GB of RAM. Internal storage is 64/128 GB that can be expanded 256GB via a MicroSD. It has 5.5 inches AMOLED capacitive touchscreen, 16M colours, with a resolution of 1080 x 1920 pixels. Gionee M6 lets you snap brilliant 13-megapixel back camera for taken a good quality picture and 8-megapixel front camera for a selfie. It has Non-removable Li-Po 5000 mAh battery. Sensors in the phone include a Proximity sensor, Accelerometer, and Ambient light sensor. Those people till now don’t get any update, or your device is rooted. If you want to update your device then follow this guide it will help you. Your device bricked or boot loop after installing custom ROM’s kernels or anything customised this firmware will revert to stock firmware. Gionee M6: – All model. Update or downgrade your phone if you don’t like the new update. Fix boot-loop issues on M6. Download the Firmware, Flashtool and driver file link given below. Extract Downloaded file zip via Winrar and 7zip.